Revolution 21's Blog for the People: 3 Chords & the Truth: It's crazy, pally! Charley, this week's episode of the Big Show is a real gasser. Man, I am talkin' the livin' end! There's some stuff on 3 Chords & the Truth this go around that's just crazy. Coo-coo! It's a real clambake. Parts of the thing will just fracture you, pally! Good as a tomato waitin' for you in every gin joint. MAN, IT IS anything but Endsville. I'm tellin' you, whoever's behind this thing must be a big-leaguer. What a ring-a-ding show! You're startin' out real freaky like -- you know, trippy -- and then, next thing you know, you're at the Sands. Pally, this thing's a gas! But if you listen to the Big Show much, you knew that already, right? Three words: Wow-ee wow wow! 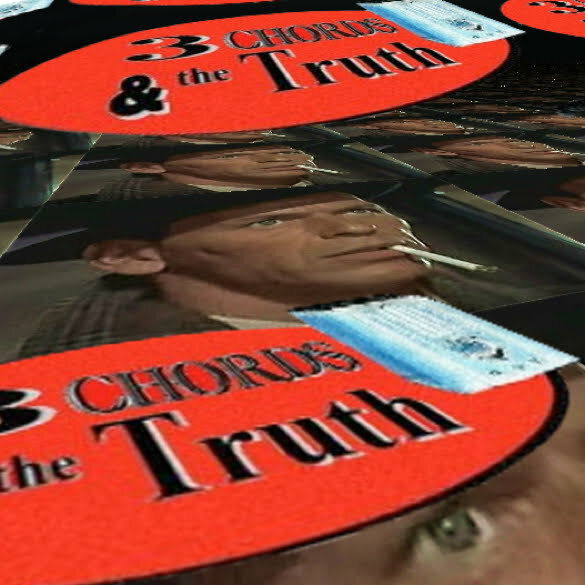 It's 3 Chords & the Truth, Charley. Be there. Aloha.